B.C. 's civilian police watchdog, the IIOBC, has cleared the RCMP officer who struck a 20-year-old man in Squamish last March. The pedestrian died in hospital in August. B.C. 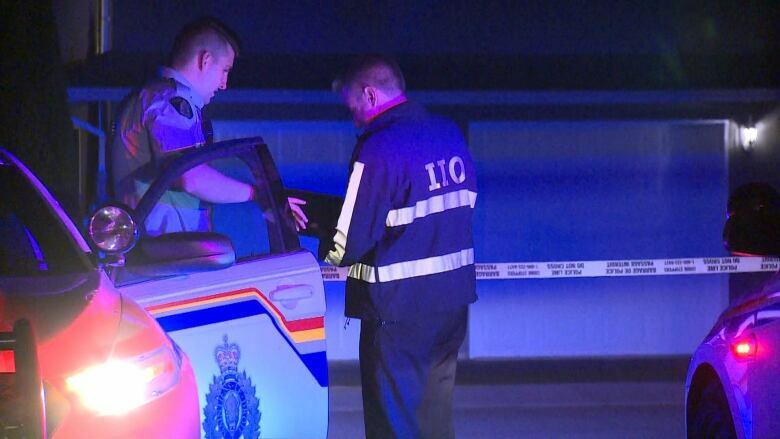 's civilian police watchdog, the Independent Investigations Office of B.C., has cleared the RCMP officer who struck a 20-year-old man in Squamish last March. The pedestrian died month later in hospital in August. At the time of the incident, the IIOBC reported that the officer was driving an unmarked vehicle when she struck the man at Highway 99 and Garibaldi Way around 10:30 p.m. The IIOBC said then, the officer was on duty but not responding to a call at the time. In its new report, investigators said she was off duty at the time of the incident. On Monday, the IIOBC released its report, which concluded that the officer was driving below the posted speed limit in the slow lane, and she went through the intersection when the light was green. "The collision was unfortunately unavoidable," Chief Civilian Director Ronald MacDonald's report concluded. "[The pedestrian] made a tragic error when he crossed the highway, against the traffic signal, on a dark and rainy night, in dark clothing." The report states there are no grounds to consider charges against the officer. The officer declined to provide a statement, notes, reports, or data to the IIO, as was her right under the Canadian Charter of Rights and Freedoms.